European villas and barge cruises are very similar products in that they tend to celebrate the rhythms and rites of rural life. Good food and wine are the sacraments of a travel experience that is as much about rolling back the roaring pace that so many vacations take. Both also are ideal opportunities to bring together groups of family or friends in an exotic setting with everything seen to. In this time of the summer, the old maxim that no commodity is more perishable than an unused bed tends to drive last-minute discounts to those buyers patient enough to wait for them. The latest last minute deals to pop up this summer come from European Waterways and the Thinking Traveller, a villa expert. European Waterways is offering last-minute specials on select luxury hotel barge cruises in southern France, with travelers saving up to $2,000 per cabin. Prices include all meals, wines, an open bar, planned excursions, and local transfers. The specials apply to the Anjodi, cruising the Canal du Midi, for departures on Aug. 10 and 17, La Belle Epoque on the Burgundy Canal, for departures on Aug. 17 and 24 and Rosa on the Canal de la Garonne in the Bordeaux region, for departures on Aug. 10, 17 and 24. They’re also waiving the single supplement fee on Anjodi and La Belle Epoque for these departures. Special offers must be booked by Aug. 8. The UNESCO-cited Canal du Midi of southwestern France moves through one of the most beautiful country’s most beautiful regions. The barge features a captain, master chef, tour leader, and hostess. The experience includes a wide range of excursions. 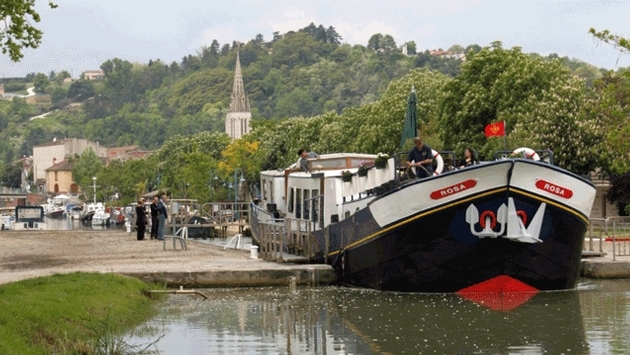 The 12-passenger La Belle Epoque rides the Burgundy Canal past 60,000 acres of vineyards. The barge has a sun deck, spa pool, a wood paneled saloon and open bar. The cruise features wine tours and other excursions. The barge Rosa explores the Bordeaux Region using wine as a major theme, including excursions that include a wine tasting at Château Bausejour-Bescot near Saint Emilion and visits to the medieval towns of Nerac, Vianne and Le Mas d’Agenais. The Thinking Traveller is offering a 15 percent reduction on luxury villas still available this summer for travelers looking for a last-minute escape. Six premium villas located in Sicily, Puglia and the Ionian Islands of Greece are available for the rest of July and August. Guests in these villas have access to local hosts, who are available around the clock to provide a range of services –from restaurant recommendations to private villa chefs, privileged access to expert guides and more. Now priced at $3,981 per week (normally $4,683), the two bedroom and two bath Maristella is available from Aug. 17 to 24, overlooking the Ionian Sea with an infinity pool. The four bedroom and four bath Daphne features finely furnished terraces whose views over olive groves and the bay. The villa is a few minutes’ walk from Avlaki beach and its seafront tavernas and a short drive away are Kassiopi’s shops and nightlife. The villa is still available for a week's stay commencing July 26, Aug. 2, Aug. 9 and Aug. 26 regularly $20,086 per week, now $17,073 per week. In Sicily, the three bed and bath Villa San Tommaso features uninterrupted views over the valley of the Anapo River winding its way to Siracusa. The villa is available for a week's stay commencing July 26. Normally priced at $12,146 per week, it’s now $10,237 per week. The seven-bedroom Oliva is a modern architect’s take on a traditional Sicilian baglio, characterized by a shady internal courtyard garden enclosed on each side by living and sleeping quarters. Beyond is the panoramic pool and olive groves. Located in southwestern Sicily, the villa is available for a week’s stay commencing Aug. 2, Aug. 16 and Aug. 23. Normally priced at $16,071 per week, it’s now available from $13,661 per week. In Puglia, the 10-room L'Argentiera was once a bed and breakfast that is now a villa after a complete transformation. The villa is centered by a large, sea-view terrace good for al fresco dining and an infinity pool overlooking the sea. Guests receive daily maid service, breakfast preparation and the option of an in-villa cook. The villa is available for a week's stay commencing Aug. 16, Aug. 23 and Aug. 30 regularly $24,992 per week. Paris-based architect Fabrice Bejjani designed the six-room Trullo Pinnacolo as a modern trullo conversion. Trullos are signature type of lodging in Puglia. These conical homes are built from flat rocks using no concrete. The villa is available for a week's stay commencing Aug. 23. Normally priced at $16,517 per week, it’s now $14,040 per week.